A great way to add personality to your home and show off your artistic side is by hanging artwork that has meaning to you. 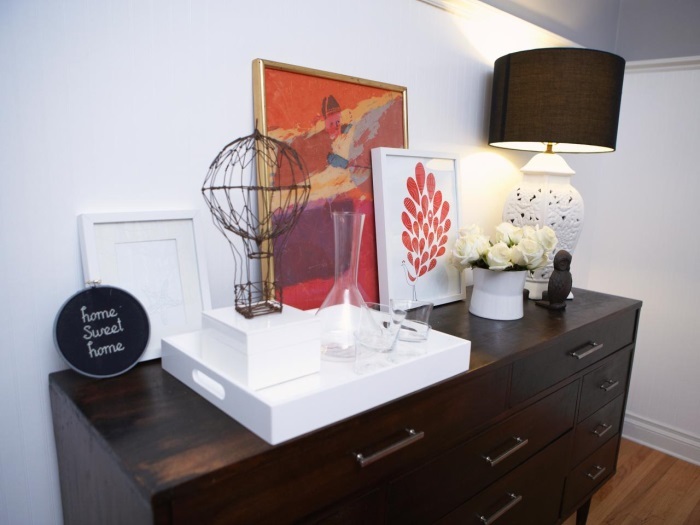 Whether you choose to include original canvas paintings, reproductions or prints, photos or kids’ masterpieces, we have some helpful tips that will make arranging and hanging fun and rewarding. In addition, if you’d like to view our “Wall Art” Pinterest board collection featuring an eclectic mix of different styles of artwork hand-picked by our team, please click here: www.pinterest.com. 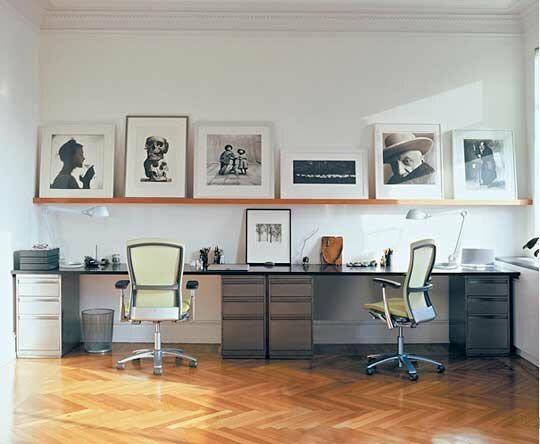 When considering size, the art should be large enough to fill the space where it is hanging, but not overwhelm the space. Colors don’t have to match the room perfectly, but should be compatible. 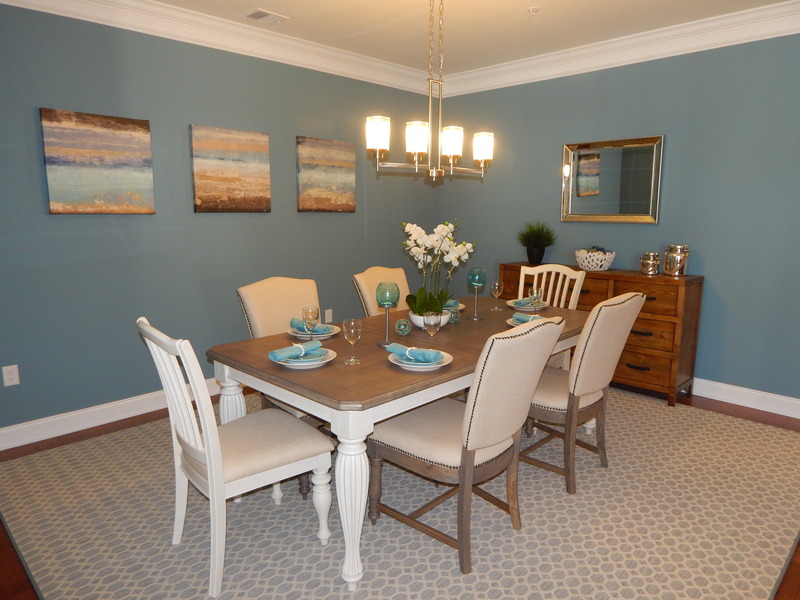 This artwork picks up on the blue accented wall color in the room. The size allows for enough “breathing room” on either side of the painting so that it almost becomes framed by the blue wall. 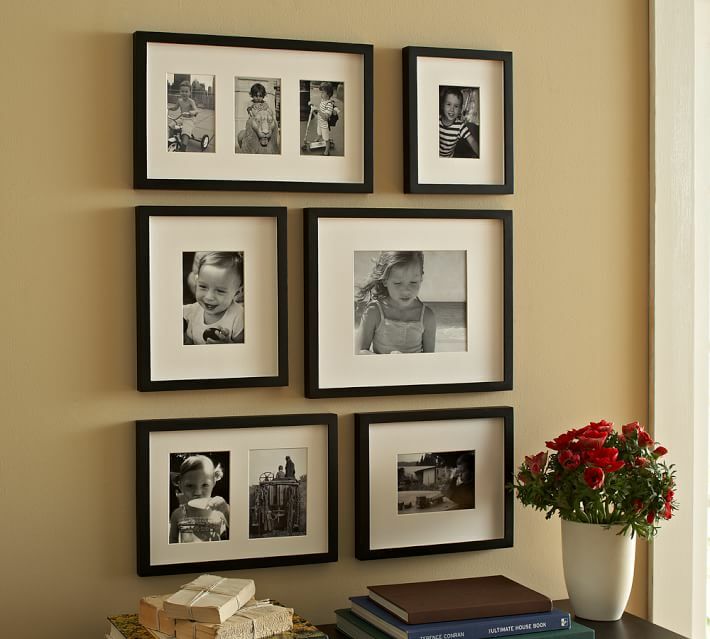 The easiest solution when grouping photos is to use uniform color such as white mats and compatible colors and materials for frames. When you have a large blank wall, adding 3 simple paintings that are part of a series is a perfect way to add some additional color and depth. For a sofa measuring 84 inches and a ceiling height of 9 feet, we recommend a single size work of art of approximately 48 inches wide x 36 inches high. Another good option is using two smaller paintings as pictured above. 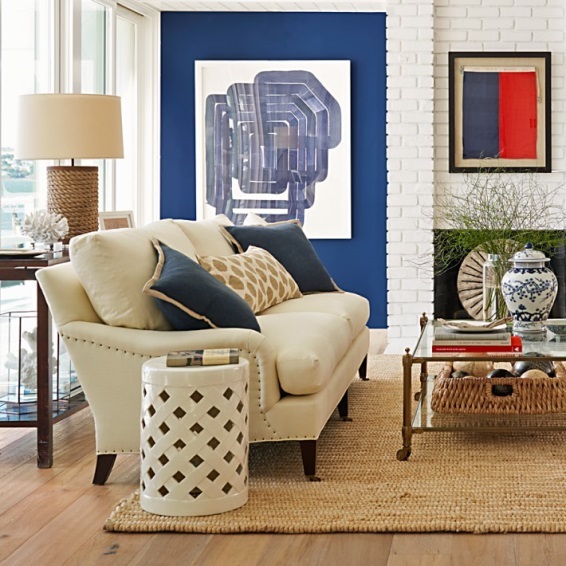 A group leaning against the wall is a perfect place to layer art and accessories. 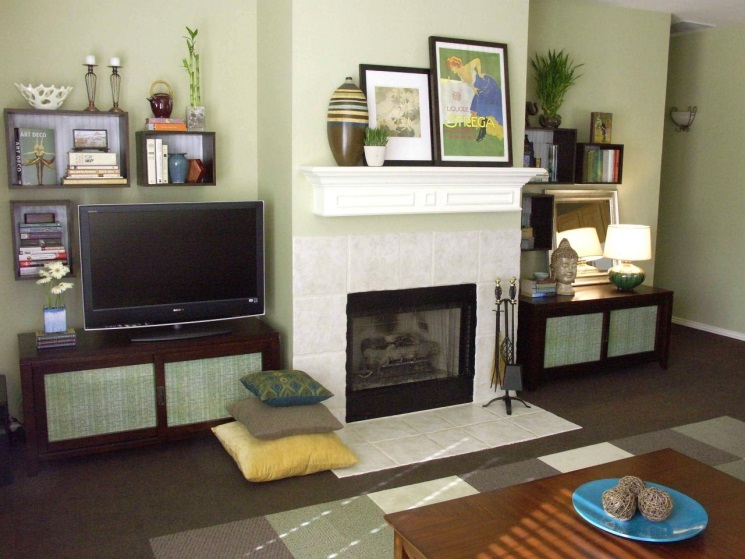 Varying sizes is an ideal way to add interest. 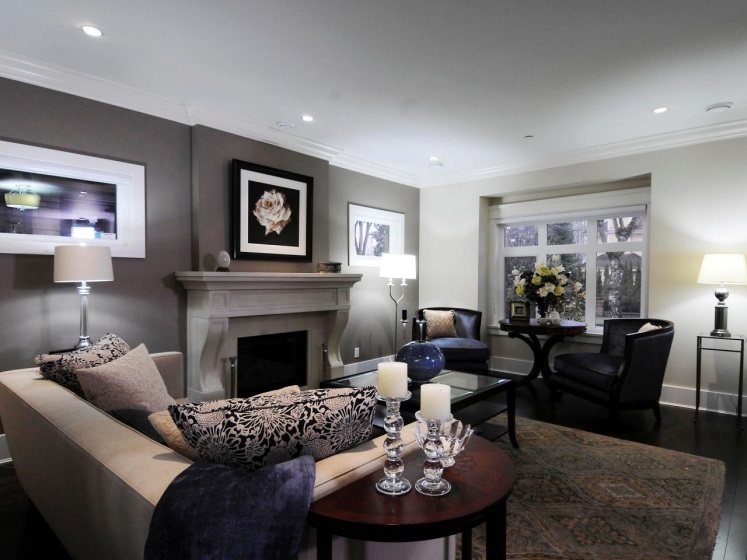 For a single piece centered over the mantle – split the distance between the ceiling and the mantle for 8′ or 9′ ceilings (depending on height of piece). account furniture height, mantle height etc.